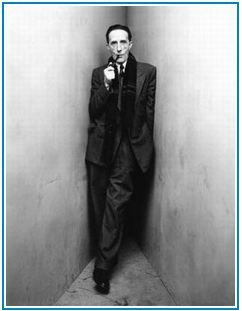 If you want to see some interesting photos of Duchamp and his works go to Dadart.com. 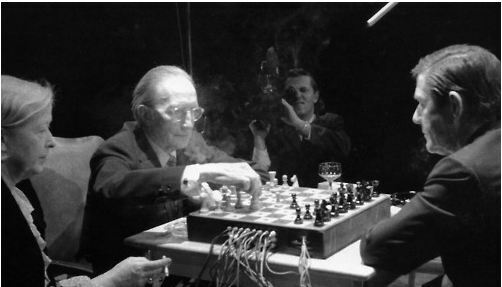 Images include Duchamp and his wife, Teeny, with John Cage in 1968 playing electronic chess and an image, shown above of Duchamp in Andy Warhol’s New York studio. 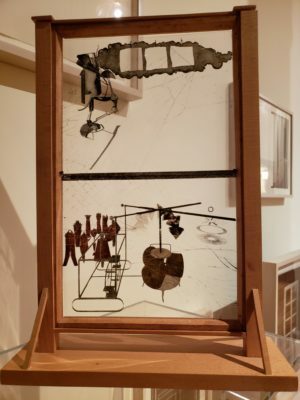 What did Marcel Duchamp tell Bill Griffith? Alan Bisbort in an interview with underground cartoonist Bill Griffith (a.k.a. 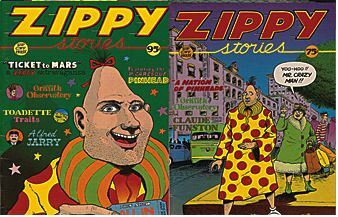 Zippy) reveals details about Griffith’s brief encounter with Marcel Duchamp when he was 19 years old. Griffith was a student at Pratt . He told the famed artist at the master’s restrospective exhibition that he, Griffith wanted to be an artist. Steven Rosen, City Beat, writes that Carl Solway, recently celebrated his 50th year as a "gallerist" in Cincinnati. 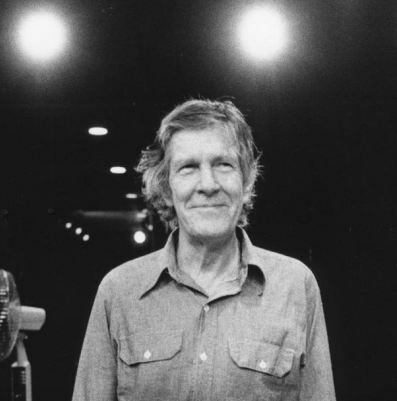 Solway spoke to arts enthusiasts at Hamilton’s Pyramid Hill Sculpture Park about "the milestone" of his new exhibition on Marcel Duchamp’s friend, John Cage. 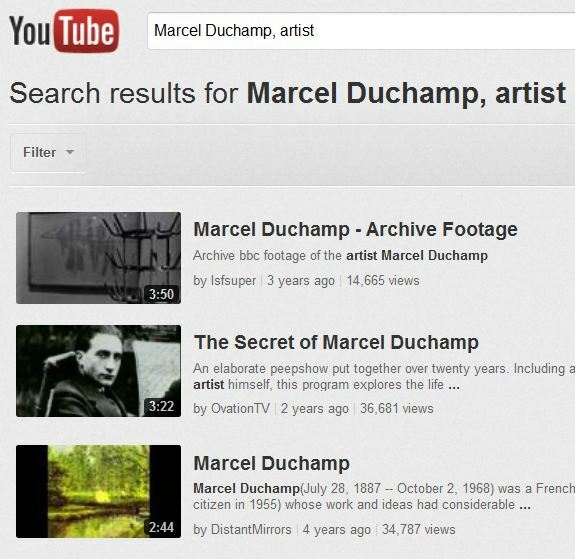 If you search "Marcel Duchamp, artist" on YouTube, there are over 3,000 results. Video interviews with Duchamp are among the must-sees for any Duchamp fan. 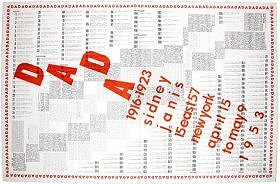 There are videos of artists whose work is inspired by Duchamp and videos of Duchamp playing or discussing chess. 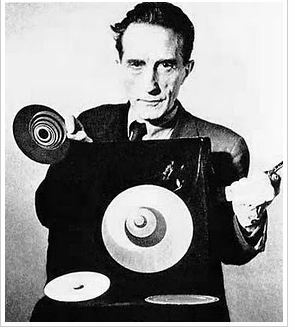 The web site, Only Images, has a good selection of photos of Marcel Duchamp. The site states: "This [web site] is dedicated to the creators who have influenced my creative energy. To the people who have informed my art and moved me. Enjoy as much as I have."